The Leader-Herald/Kerry Minor Fulton County Center for Regional Growth President and CEO Ronald Peters speaks with attendees at the Open House event on Thursday. 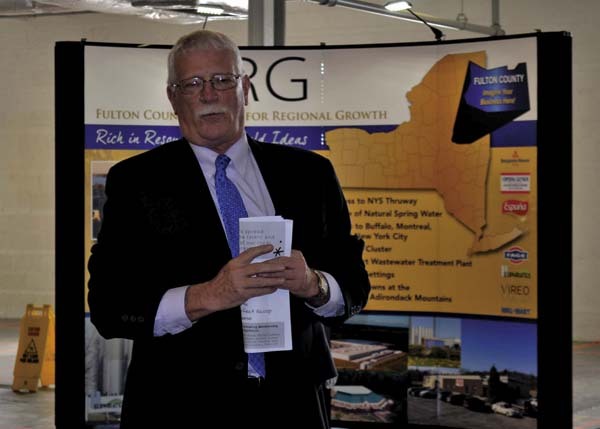 GLOVERSVILLE — The Fulton County Center for Regional Growth’s space at 34 W. Fulton St. opened its doors to the public on Thursday to welcome area residents and let them know what the center can offer. The FCCRG obtained the 35,000-square-foot former Ohm Laboratory building, which was also a Sears department store at one point, after the New Brunswick, N.J.-based chemical company donated the facility to them. The CRG moved from its previous location at 110 Decker Drive in the Crossroads Business Park about a year ago and has been making steady progress turning it into a space to get businesses off the ground. 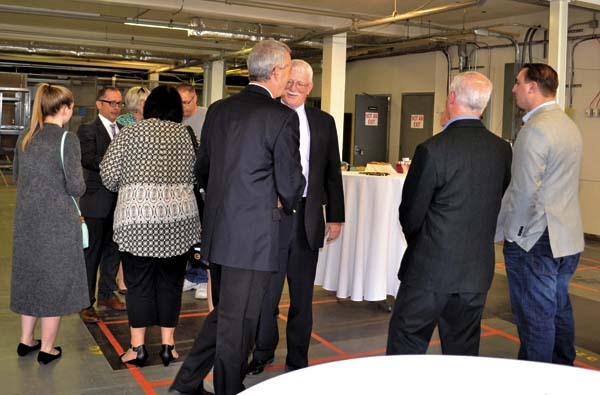 More than 100 people RSVP’d for the event, which allowed local and regional business officials and the public to get a look at the facility as it currently exists and hear about plans for the future of the space. 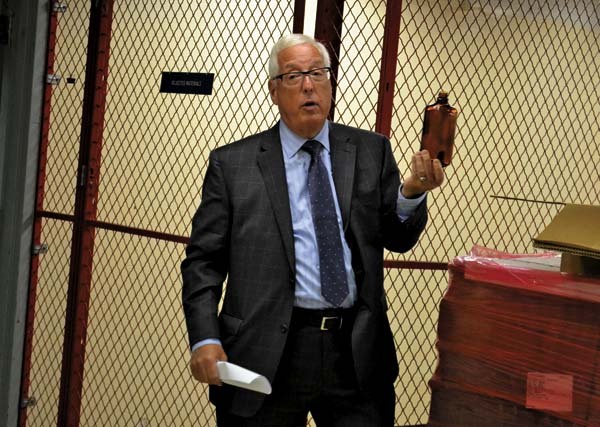 Participants got a chance to take a tour of the facility, including the renovated office spaces, future incubator floors and the newly opened Gloversville Public Library interim space. Attendees mingled with local business owners and government officials while sampling food from some of Fulton County’s food producers including Danascara Cheese, EMVI Chocolate, Fage and Meco’s Perfect Scoop. The Center’s pop up tent for local events and trade show booth were also on display. FCCRG President and CEO Ronald Peters said the building can be deceiving from the outside, concealing the amount of available space it has inside. Peters said the second floor will likely become an incubator space within the next 12 to 18 months. The first floor features a number of office spaces and the basement has secure chemical storage spaces. He said the idea behind the CRG facility is to have a space that will allow businesses a place to grow, before moving on to the Tryon Technology Park. 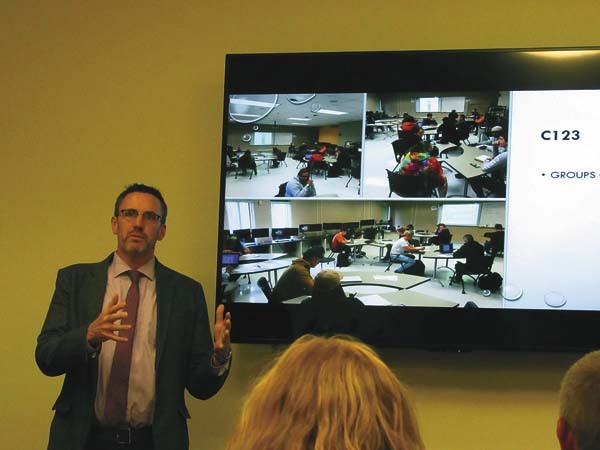 “Our intention is to make this space into a state-of-the-art incubator,” Peters said of the second floor, where the event was held. Peters said the center is also planning to hold monthly classes and workshops related to business at the center. He said it was important to have the public tour the space to get them familiar with the CRG and its mission. 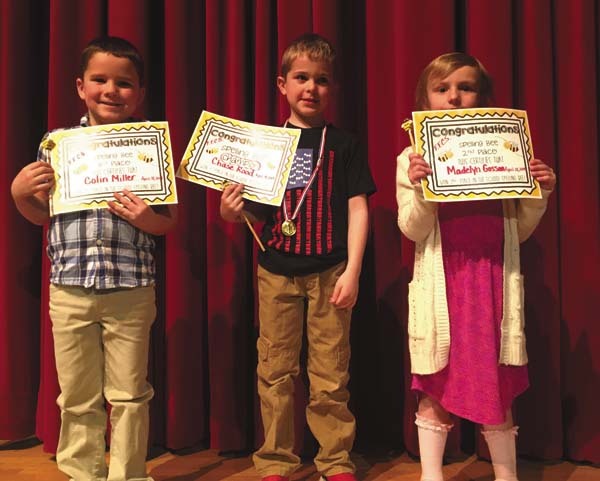 “It is of the utmost importance the people know what we’re doing and know where to go for their business needs,” Peters said. Since moving into the space, the CRG has hired Jennifer Jennings as the Downtown Development Specialist to focus on the city of Gloversville. 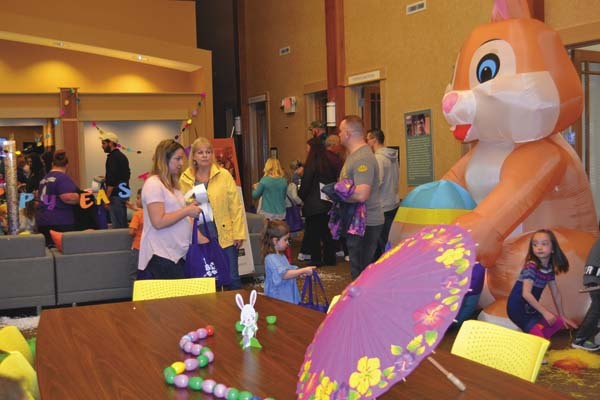 Since being hired, Jennings has been busy planning downtown events, including the Spring Fling set for May 6 and working with area business, community and government leaders on various projects. Jennings said inviting the public into the center to meet the staff and get to know what the CRG does is helpful, since they do so much for local businesses and the community. 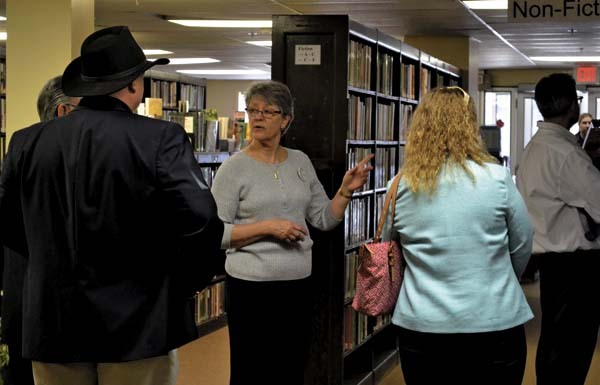 During the event, Gloversville Public Library Board of Trustees President Christine Pesses took the public on a tour of the library space, which opened on Monday. 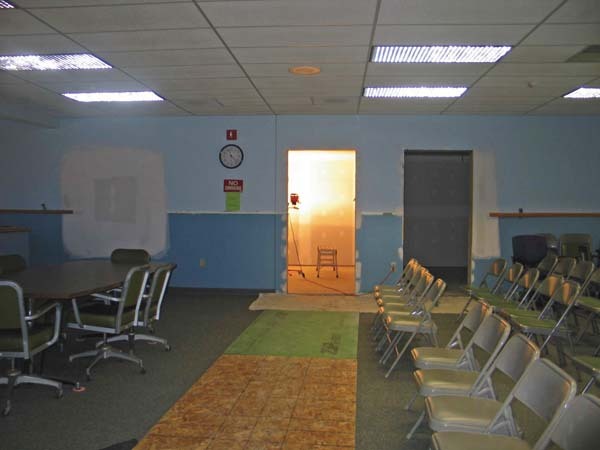 Pesses said the CRG has been a great partner in the process of moving to the temporary location as it awaits the start of an entire overhaul of its permanent home at 58 E. Fulton St.
Tom Petricca of Legere Restorations in Schenectady said he thought the building was a good space for future growth. He said it will be interesting to see what kind of deals the agency can make and what businesses it can bring in and get started. Legere said he sees a number of parallels between what is starting in Gloversville and what he saw in Schenectady 15 years ago.